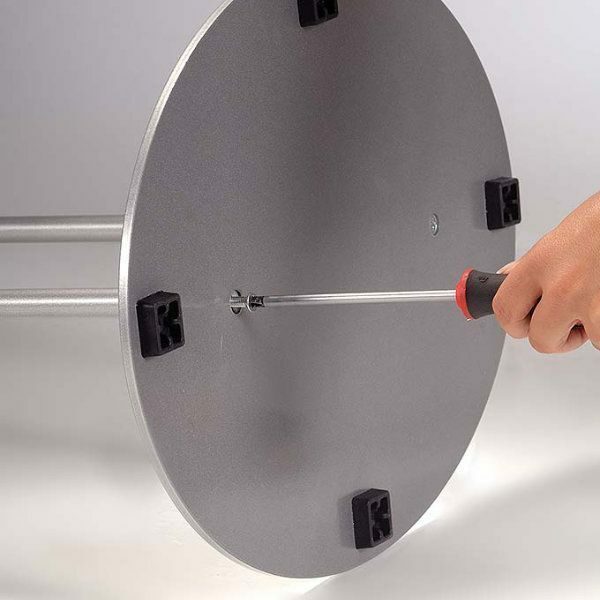 Overall Size: 24.91" x 14.09" x 60.04"
Packing Size: 25.20" x 37.01" x 0.79" / 14.96" x 22.64" x 1.18"
These poster stands are ideal for a quick, easy but powerful presentation! 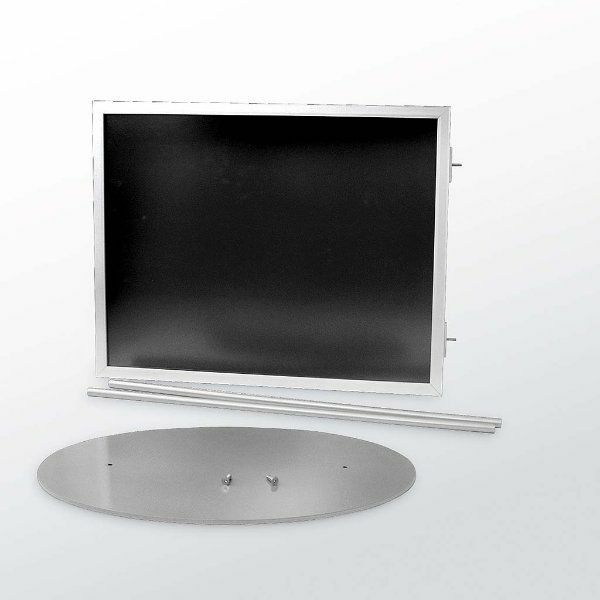 Sleek and sophisticated with their satin silver finish, these aluminum sign displays fit well in any business environment. 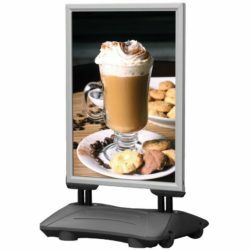 Practical yet efficient, these double-sided menu holders include two non-glare lenses enhancing visibility. 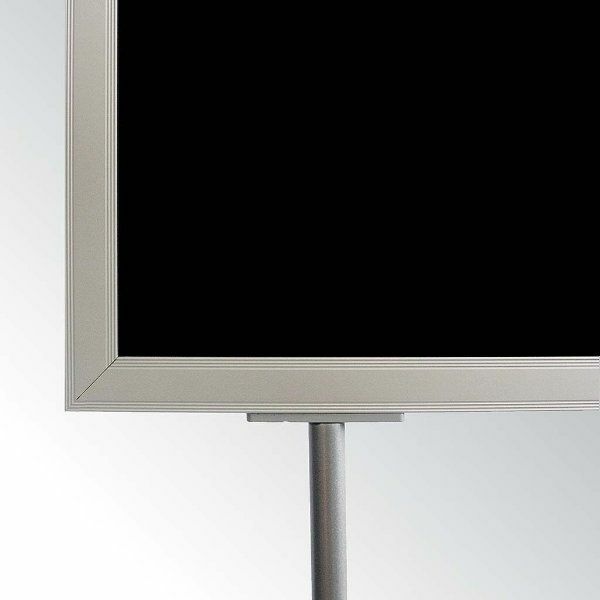 Simply place your poster beneath the non-glare lens, slide them together into the sign channel on top. 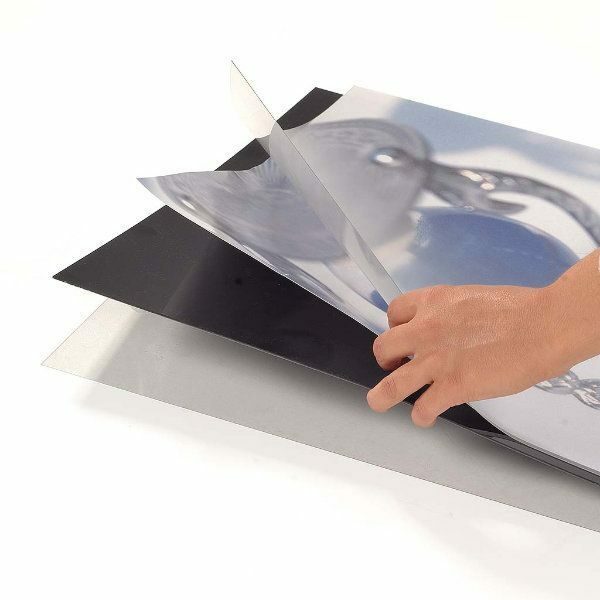 Black PVC backer keeps the posters tight and prevent light transmission. 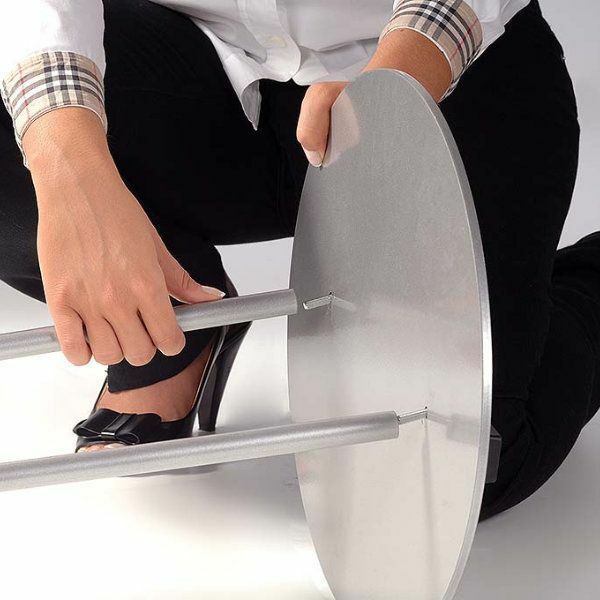 Shipped unassembled in order to minimize the shipping cost. 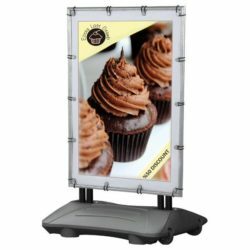 Displaying two 24″ x 36″ graphics back-to-back these poster stands are perfect to display special events, promotions, menus and other types of announcements in foyers, lobbies, entryways, restaurants, banks and retail stores. 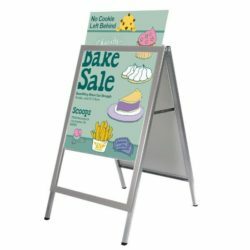 Just decide which suits best to your marketing needs: displaying the same poster in both sides or two separate or complementary banners in each frame. 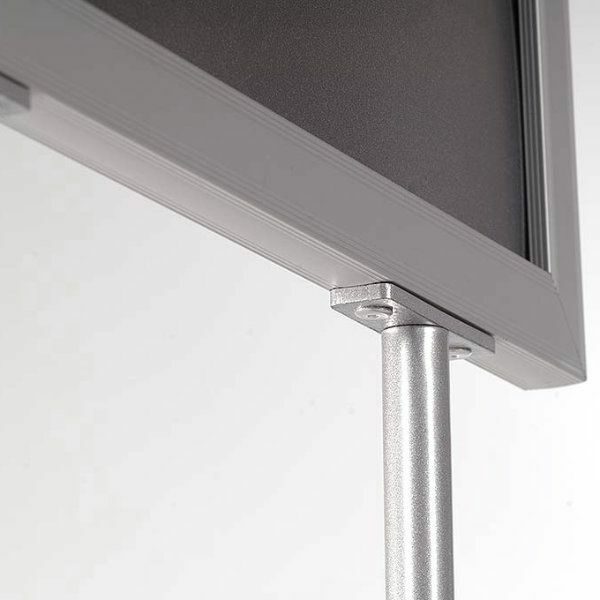 These poster holders therefore can not be passed unnoticed thanks to their 60″ height. 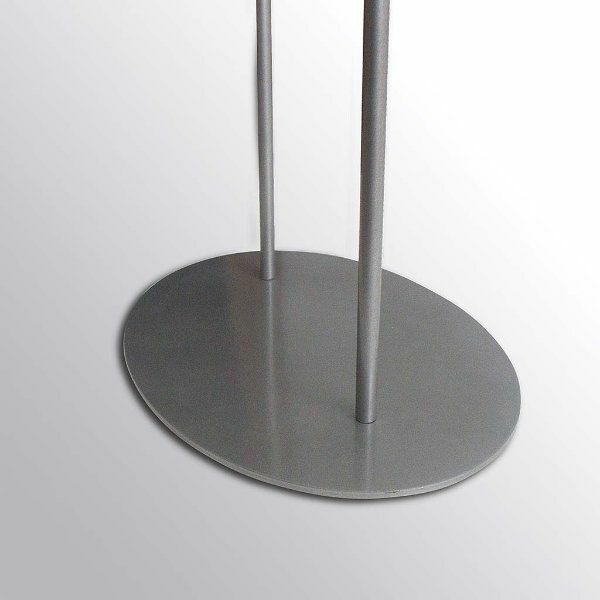 The sleek, stylish, and prominent design make these store fixtures virtually impossible for a customer or patron to pass by without a glance. 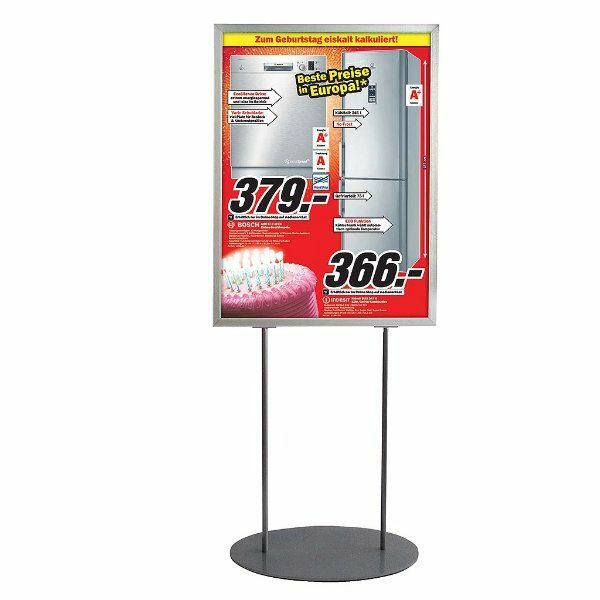 In addition to sign displays, we also have a wide range of other poster stands providing effective solutions for different marketing needs and business purposes. 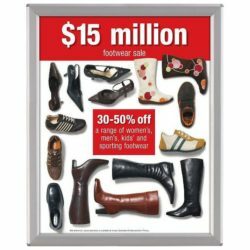 Check out our entire sign displays collection to choose the best alternative for your business establishment by visiting sign holder category. 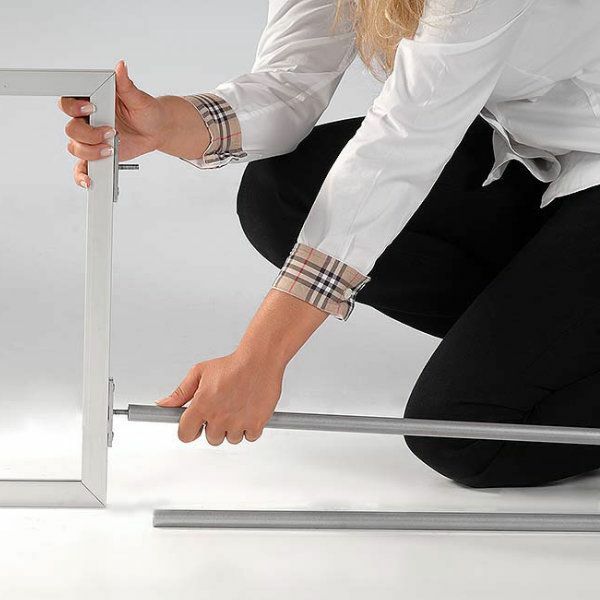 The stand and frame are high quality. 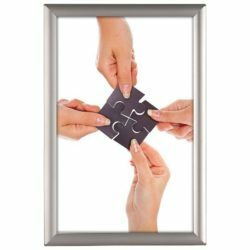 It is simple and quick to pop open the frame to change the posters.